Robert Bamford died on 8 August 1893 at Preston, England.24 He was buried in August 1893 at St. Mary's Churchyard, Penwortham, Lancashire, England. [S1120] Lynn Ransom Burton, Baptisms at St. Mary's Church, Penwortham, Robert Bamford; 11 October 1835; Register: Baptisms 1835-1840 from the Bishop's Transcripts, Page 168, Entry 1344. Source: LDS Film 1502458. [S489] 1841 England Census, Lancashire, Penwortham, England, GSU Roll 13, 306913. [S485] 1851 England Census, Lancashire County, Penwortham, England, GSU Roll 87289. [S494] 1861 England Census, Lancashire County, Penwortham, England, GSU Roll 543082. [S1120] Lynn Ransom Burton, Baptisms at St. Mary's Church, Penwortham, Robert Bamford; 11 October 1835; shows Robert Bamford, son of Henry Bamford and Jane. [S485] 1851 England Census, Lancashire County, Penwortham, England, GSU Roll 87289, shows the son of Henry Bamford as Robert Bamford. [S494] 1861 England Census, Lancashire County, Penwortham, England, GSU Roll 543082, shows the son of Henry Bamford as Robert Bamford. [S1092] England, Select Marriages:1538-1973: Robert Bamford and Clarice Threlfall;shows spouse's father's name as Henry Bamford. [S1092] England, Select Marriages:1538-1973: Clarice Threlfall and Robert Bamford; shows father of Robert as Henry Bamford. [S485] 1851 England Census, Lancashire County, Penwortham, England, GSU Roll 87289, shows mother as Jane Bamford. [S494] 1861 England Census, Lancashire County, Penwortham, England, GSU Roll 543082, shows mother as Jane Bamford. [S485] 1851 England Census, Lancashire County, Penwortham, England, GSU Roll 87289, shows age 14 and birthplace as Penwortham. [S494] 1861 England Census, Lancashire County, Penwortham, England, GSU Roll 543082, shows age 25 and birthplace as Penwortham. [S471] 1871 England Census, Lancashire County, Penwortham, England, GSU Roll 846949, shows age 35 and birthplace as Penwortham. [S1112] Henry and Jane Smith Bamford Gravestone Inscription, Taryn L. Phelan, 221 Westwood Avenue, Waterbury, Connecticut, shows Jane Bamford's death date as 25 March 1880. [S1138] Jane Smith Bamford, Jane Bamford's Death Certificate. [S1184] England & Wales, National Probate Calendar, 1858-1966 , Robert Bamford of Penwortham; shows death date as 8 August 1893. [S850] England and Wales Christening Records: Robert Bamford; 24 February 1867; shows father as Robert Bamford, 1530-1906, Ancestry.com. [S471] 1871 England Census, Lancashire County, Penwortham, England, GSU Roll 846949, shows the son of Robert Bamford as Robert Bamford. [S477] 1881 England Census, Lancashire County, Penwortham, England, GSU Roll 1342011, shows the son of Robert Bamford as Robert Bamford. [S387] 1891 England Census, Lancashire County, Penwortham, England, GSU Roll 6098538, shows the son of Robert Bamford as Robert Bamford. 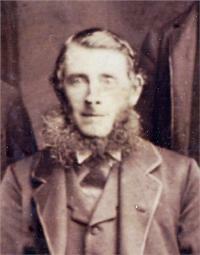 [S850] England and Wales Christening Records: James Bamford; 12 December 1869; shows the father of James Bamford as Robert Bamford, 1530-1906, Ancestry.com. [S471] 1871 England Census, Lancashire County, Penwortham, England, GSU Roll 846949, shows the son of Robert Bamford as James Bamford. [S477] 1881 England Census, Lancashire County, Penwortham, England, GSU Roll 1342011, shows the son of Robert Bamford as James Bamford. [S1092] England, Select Marriages:1538-1973: James Bamford and Mary Ann Iddon; shows father of the groom as Robert Bamford. [S850] England and Wales Christening Records: John Bamford; 8 February 1872; shows father of John Bamford as Robert Bamford, 1530-1906, Ancestry.com. [S477] 1881 England Census, Lancashire County, Penwortham, England, GSU Roll 1342011, shows the son of Robert Bamford as John Bamford. [S387] 1891 England Census, Lancashire County, Penwortham, England, GSU Roll 6098538, shows the son of Robert Bamford as John Bamford.